Studying in Australia is an educational experience like no other. The countryâ€™s world-class universities, language schools and training courses foster innovative, creative and independent thought that will give you a competitive edge and advantage in Malaysia, and in the world. There is also more to studying overseas than just studying. The experiences you have and the friendships you forge in Australia will stay with you forever. Australia attracts students from nearly two hundred countries. They speak vastly different languages yet leave saying the same thing: living in Australia was one of the best times of my life. The Study in Australia website is a virtual Australian Education Centre, providing fast and easy access to impartial and reliable information and referral services relating to all aspects of Australian education and training. You can search for and view information on courses and institutions, tuition and living costs, the application process, scholarships, visa requirements and some pointers on life in Australia. All this information is available on the site in 12 languages, including Arabic and Bahasa Indonesia. Explore your possibilities by browsing through the site or select the study wizard option for a step-by-step guide on how to find the information you need. The dynamic learning environment of Australian universities will lead you to not only excel personally but also to challenge yourself academically. You will join the growing number of students from around the world who choose an Australian education. There are more than 450,000 international students in Australia in 2007 and 39 percent of them are enrolled in the higher education sector. Another estimated 75,000 students are enrolled in more than 1,500 higher education courses delivered offshore by distance education, twinning programs and campuses of Australian universities in Asia, the Middle East, North America and South America. In Australian universities, you will build valuable skills to give you an advantage â€“ academically, personally and professionally. You will interact closely with teachers and access experts in your chosen field. Australian higher education institutions attract academic staff from around the world who are often leading experts in their fields. Australian academics spend time studying and working in other countries, often in some of the worldâ€™s leading universities or research facilities. They bring their international knowledge back to Australia to ensure students gain a world-class qualification. By international standards, you will be well prepared for career challenges. You will gain confidence in yourself and your abilities. You will gain a sense of your place in the world. Australia has a reputation for adopting new technologies more rapidly than many other countries. The universities in Australia contribute strongly to the creation of knowledge and the global knowledge base. Research is conducted at every major discipline, in individual and collaborative projects. Australian research teams are at the forefront of their specialisations. 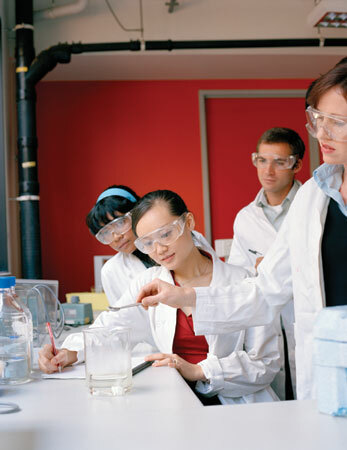 Australian scientists and researchers have been responsible for many advances in business, industry and medical science. They have had a profound impact on the lives of ordinary people around the world and won prestigious national and international awards including seven Nobel prizes. Australia has an international reputation for best practice in accreditation, qualifications recognition, quality assurance and student consumer protection. Australia is one of the few countries in the world where safeguards designed to protect international students are based on legislation. You can feel at ease in the knowledge that Australia has a well developed system for receiving international students. Many specialist services are available for international students including language tuition, designated international student advisers, application and visa-processing assistance, on-arrival reception and orientation programs, health, counselling, accommodation, employment services, social and educational support and pastoral care. Australian universities must meet high standards of quality and ethical practice to enrol international students. These standards apply equally to public and private universities and cover issues such as curriculum, teaching staff qualifications, facilities and specialist equipment. Ongoing checks and controls by government, higher education institutions and professional bodies ensure that standards are maintained. Under Australiaâ€™s rigorous quality assurance framework only institutions authorised by the Australian Government under an agreed national framework can use the terms â€˜universityâ€™ and â€˜degreeâ€™. Australian Government legislation includes a code of practice for institutions which is legally enforceable. The National Code of Practice ensures institutions maintain high standards of education and follow student visa arrangements. The key activities of teaching, learning, research and management in Australian universities are audited by the independent Australian Universities Quality Agency (AUQA). The Australian Government endorses the findings of this quality assurance body. Visit www.auqa.edu.au for more information. Unlike a Master of Arts (MA) or Master of Science (MSc), which is more academic in nature and where one specialises in a particular area, the Master of Business Administration (MBA) has a more practical focus and covers a broader range of skills that managers need to function more effectively at work. The MBA programs offered by Australian universities are designed to provide students with the ability to apply contemporary management knowledge and skills in an innovative, creative and entrepreneurial way. You can choose from a broad spectrum of specialisations and electives. A good mix of academics and practising managers ensures a rich diversity of teaching styles and managerial knowledge. Class sizes are kept small to enable students to contribute their ideas and ask questions. Given that most of the sizeable full-time contingents are international students, diversity in a wide range of academic, professional and cultural backgrounds enhances the learning and networking opportunities available to all students. Some programs are also available through distance education. People pursue MBA qualifications for a number of reasons. Many do it because they want to improve their career â€“ move into senior management or into a different area altogether. For instance, those with a technical background would do an MBA in order to move into general management. MBA also enhances oneâ€™s salary when one is promoted or moves into a different area of work. In addition to a diverse student network due to the large international student community, students have valuable opportunities to complete part of their studies internationally through exchange programs in the USA, Asia or Europe. Apart from enabling students to widen their personal and professional networks through such exchanges, it also enhances their international career opportunities. The Endeavour Awards aim to promote sustainable development and excellence in education. Scholarships help build mutual understanding between Australia and its Asia-Pacific partners. The Endeavour Awards offer educational and professional development awards to citizens of the Asia-Pacific region. These opportunities support growth in our region and build enduring links at the individual, institutional and country levels. Malaysians are eligible to apply for the Endeavour Awards, an internationally competitive, merit-based program providing opportunities for citizens of the Asia-Pacific region to undertake study, research and professional development in Australia. Awards are also available for Australians to do the same abroad. The Endeavour Postgraduate Awards provide opportunities for high achieving students, researchers and fellows to undertake study and research collaboration in Australia. The Endeavour Vocational Education and Training Awards enable Malaysian students to undertake vocational education and training at a Diploma or Advanced Diploma level at an Australian institution (public and private providers). The Endeavour Executive Awards enable high achieving professionals in business, industry, education or government to undertake professional development in a related field in an organisation in Australia for one to four months. The Endeavour Australia Cheung Kong Research Fellowships provide financial support for postgraduate students and postdoctoral fellows from Malaysia to undertake short-term research (4-6 months), in any field of study, in Australia. The Endeavour Research Fellowships provide financial support for postgraduate students and postdoctoral fellows from Malaysia to undertake short-term research (4-6 months), in any field of study, in Australia. An important feature of Endeavour Awards is the building of strong alumni networks to encourage and strengthen enduring personal links throughout the region. This will enable the benefits of Endeavour Awards to be sustained long term for scholarship recipients to develop interpersonal networks. View Profile of Institution here.